Saute veggies in butter/oil for 3-4 minutes. Roll out pastry. Cut into disc. 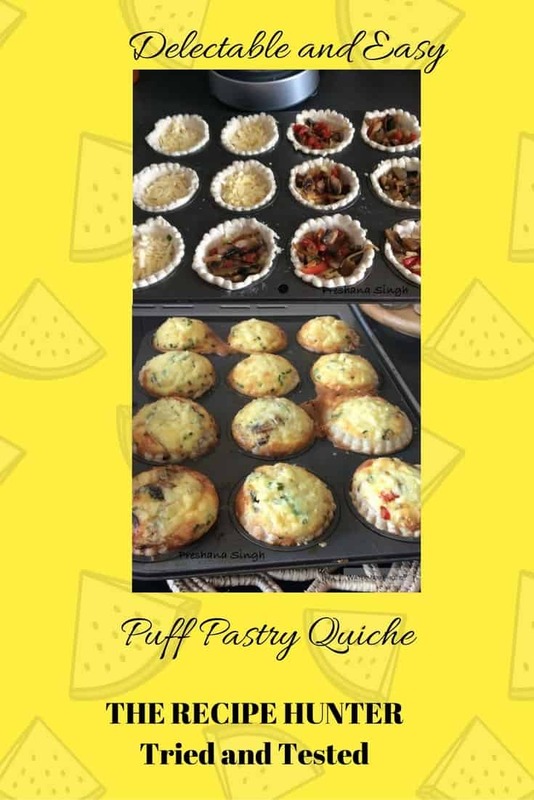 Line muffin pan with pastry discs. Whisk together eggs, cream, seasoning and chives. Place small amount of cheese into pastry cases. Pour egg mixture, enough to fill up pastry 3/4 way. Place balance of cheese over and bake for about 20-30 minutes.